This post is the first in a series on my low waste living experiments! My hope is to inspire you to take a step (not a plunge) towards a life that is tinted green by sharing which changes I've incorporated into my life. I brought a new mug to work every Monday. I’d rinse it out with a little soap at the end of every day and bring it home for a thorough wash on Friday. It worked like a dream. And my mugs quickly became conversation starters with my coworkers. Each Monday, one coworker would even stop by my desk to see which Disney mug I’d brought in for the week. I wasn't perfect. I used disposable coffee cups on days where I forgot my mug or if I was traveling. But the thing is, even when I forgot to bring a mug in on Monday, I still chose to bring one on Tuesday. Perfection isn’t the name of the tint life green game. It’s all about progress. Slow, tedious, seemingly too-small-to-make-a-difference progress. I don’t work that job anymore. In fact, I don’t work in an office anymore, so now I do my best to bring my own mug to church. Eco-friendly living is all about being aware of our choices. If that awareness becomes overwhelming, scale down. 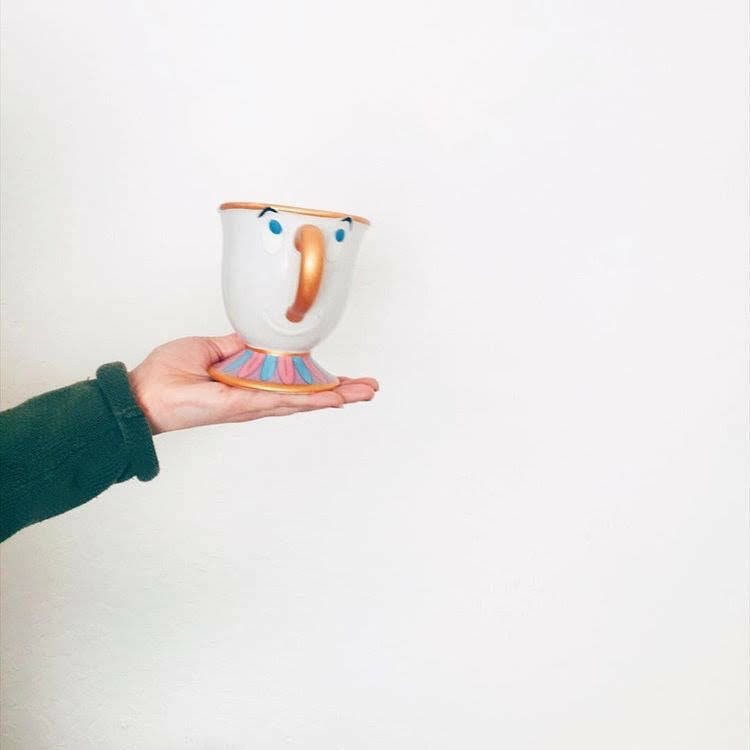 Start with one thing…like something as simple as a mug.